Motion Records was active as a label from 1996 to 2007. A small independent UK music label run by enthusiasts, activities have now been suspended because of the pressure of other commitments and significant changes in the nature of the music industry. Currently there are no plans for any further releases of any kind. Motion Records' speciality was vintage reggae & dub, where the approach was one of quality rather than quantity. Our Legendary Skatalites In Dub album remains an eternal classic. Our most recent reggae back catalogue is still available, but most of our releases are now out of licence, and only obtainable second hand, where the prices they fetch are testament to their quality. Punk-era legend Vic Godard and his band Subway Sect released several albums with Motion, including the Subway Sect Singles Anthology. Although not widely known to the public, Vic was hugely influential within the music industry - Edwyn Collins, The Libertines and even the late Kurt Cobain being among his devotees. Vic is still actively writing and recording, but is now working with other record labels. The Vic Godard section of this site will remain here, archived, for information. Both the CD and limited blue vinyl versions of Rolling Steady are still available, as are King Tubby Meets Jacob Miller, The Legendary Skatalites in Dub and The Motion Dub Special. The Rolling Steady album has its own dedicated page with lots more in-depth information. This was a crucial release for Skatalites fans - nine genuine original studio recordings made by all bar one of the original Skatalites on their home soil in 1983 . One song, Big Trombone, had been heard before (live on the Stretching Out album). One other, Devils Triangle, was available on Skamania, but the version here is completely different. As far as we can determine, the remaining tracks had never been heard before. Musicians on the album: Jackie Mittoo - Piano. Tommy McCook - Sax. Lester Sterling - Sax. Roland Alphonso - Sax. Johnnie Moore - Trumpet. Lloyd Knibb - Drums. Lloyd Brevett - Acoustic Bass. Jah Jerry - Guitar. Calvin Cameron - Trombone. Lord Tanamo (Joseph Gordon) - vocal on Big Trombone. 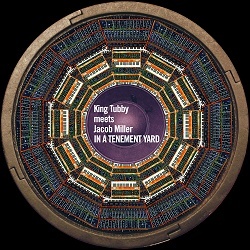 King Tubby Meets Jacob Miller In A Tenement Yard We initially made the decision not to release this album on vinyl, but CD only, with an advance download promotion via our digital partners. Current trends in the music industry led to this decision, which so far seems to have been the right one. We may still produce a vinyl version later on, but this is an increasingly costly process, and we're finding that more and more people are downloading their music, rather than buying an actual physical product. King Tubby Meets Jacob Miller In A Tenement Yard is the re-issue of a real 'lost' dub classic from 1976. Known by collectors as E-E Saw Dub, it originally came in a plain sleeve and was incorrectly labelled as an E-E Saw 12-inch single 'City Of The Weak Heart' by Earl Zero. In fact the album contains twelve killer Jacob Miller / Fatman Rhythm Section riddims dubbed by King Tubby. The Moog synthesiser of Bernard 'Touter' Harvey floats through the mixes, giving the album a really contemporary sound. The dubs are absolute killers and show King Tubby on fine form. The riddims include Dreada Dread, Tenement Yard, City Of The Weak Heart, Susie Wong, Tired Fe Lick Weed In A Bush and Roman Soldiers Of Babylon. Two top Jacob Miller dubs are also included as bonus tracks. Our bargain-priced sampler The Motion Dub Special is now available from all normal outlets and download sites. '....it’s one of those rare collections that you’ll find yourself returning to whether or not you own the rest of the catalogue'. Also, check out our eBay auction page, where we often sell our releases at bargain prices. Further details are on the dedicated Motion Dub Special page. Motion has signed an incredible new duo from Derby called The Last Starfighters. They are David Williams and Jamie Cattermole both 21 years old. They've been described as a cross between the Arctic Monkeys and Simon and Garfunkel. The new album is ready to go and it's called Happy Accidents. It's going to be tricky marketing them as they won't play live or give interviews. In an era where bands hire stylists and marketing consultants before getting signed we actually find it quite refreshing. There is a reason why they're so reticent but we can't give details here. The album probably won't be released until the summer, but check here for updates and audio samples soon. Motion Music Downloads - If you subscribe to any of the major music download sites (there are now over 100 of them) you can obtain legal paid-for downloads of pretty well the whole of the Motion catalogue. This also includes releases where the CD or vinyl may have sold out, plus there are a number of download exclusives - tracks we've never made available on physical media. There's a page of information about our music downloads, in partnership with digital music distributors The Orchard. Also, don't forget that following the closure of our online shopping service in 2005, we still hold regular eBay auctions of our releases. It's worth checking on these from time to time as you can often pick up a rarity or a bargain. 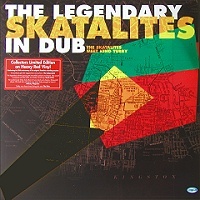 The Legendary Skatalites in Dub - Limited Collector's Edition. The heavy-weight red vinyl version of this classic LP is still available, but stocks are going down all the time. Grab one now if you don't want to be disappointed, as we won't be manufacturing any more in red. 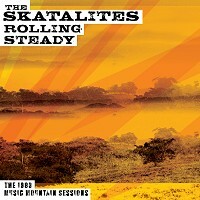 This limited edition is to celebrate the 30th anniversary of the original recording sessions, when the core members of the Skatalites got back together in Kingston Jamaica, and laid down these classic cuts. Later re-mixed by King Tubby, originally released by Motion to worldwide acclaim as Heroes of Reggae in Dub, subsequently as The Legendary Skatalites in Dub. A strictly limited run of only 700 copies. The sticker on the sleeve will help you identify the limited edition if you're browsing in the shops - only the heavy red vinyl version has the red sticker. Out on a Funky Trip is a collection of rare funk and soul cuts put together by some of reggae's finest musicians (with help from a few of their friends). Now available in addition to the CD is the limited edition collector's LP in a gatefold sleeve and pressed on 180gm vinyl. It was cut using the direct metal mastering process for optimum audio quality. There is a dedicated page for this album - take a look for the full details. Hear a couple of tasters on our audio samples page. Out on a Funky Trip includes some hugely collectable rarities, much sought after by DJs. Many of the tracks were recorded at Kingston's legendary Randy's Studio, some produced by the late Vincent Chin, some by Victor Chin, the rest by Clive Chin. The Stepping Up EP and The Funky Trip EP - Both 10-inches from the Funky Trip album are still available. The Sound of Phase One comprises some of the best material from Roy Francis' Phase One label (JA) and includes two previously unreleased DJ cuts. As far as we know, this is the first time any of these recordings have been on CD. Included are the massive 'Waiting In The Park', with which The Chantells scored one of 1977's biggest non Marley reggae hits, Steve Boswell's anthemic 'I Am Getting Bad', and the wonderful 'Help Us Jah' by The Untouchables. For a full list of songs take a look at the Phase One page. The Subway Sect Singles Anthology is a superb new 24-track CD which is came out in April 2005. This is the definitive chronicle of Vic Godard's remarkable and varied career, featuring the A-side of every single he's ever released plus most of the B-sides too. The idea is partly to fill the gap left by the deletion of 20 Odd Years, caused by the bankruptcy of the original CD manufacturer and resultant loss of the masters. Tracklists, artwork and more details on this album are available on this page, part of the Vic Godard Microsite. We're still working on the Blackpool project when time permits. Progress is quite slow, but the tracks which have been completed so far are extremely promising. This all started in a small studio in Teddington, where Vic and the Bitter Springs laid down tracks for Vic's own interpretation of songs from the 'Blackpool' musical which he co-wrote with Irvine Welsh. Recording and mixing are now continuing at Motion Studios, but this project is a work-in-progress so we don't yet have a completion date. We're hoping to have some interesting guest vocalists on the album, as well as Vic himself. 'In a year of comebacks from Punk's old guard, none was more welcome than that Vic Godard's Sansend was hailed by Uncut as the album of his career. Still 'opposing all rock'n'roll', the Sect of 2002 fuse hip hop and even bhangra with Vic's usual lyrical drollness (and new-found rapping skills!). Further evidence, if need be, of his unsung genius'. 'a set of typically pop-friendly gems'. For more details and reviews, take a look at the Sansend page. The Subway Sect name returns for this release, because the many collaborations make it much more than just a Vic Godard album. Sansend marks yet another change of direction, being mainly a beats-and-samples based album. The very modern sound, underpinned by Vic's legendary songwriting talents, prove that the Mortlake maestro is not one for standing still in his musical career. There's also a single featuring 'Lazy So-and-So' and 'Everything's Crashing', from the album, plus a killer club mix of 'Don't Take It All Out On Me'. Both the single and the album will be fully promoted in the new year, as you can't sell anything before Christmas, unless it's by U2 or Britney Spears. The Good news: Robert Elms of BBC London included Subway Sect's 'Twenty Odd Years' compilation in his definitive guide to Punk. The bad news: We had to delete this album because the original manufacturer went bust and took with them the glass masters and the artwork. Sought-after second-hand copies have fetched upwards of £40 on eBay.